It’s a lightweight and versatile tactical messenger bag designed for Military and Law Enforcement operators. This bags wide camo and solid color selection makes it a great choice for hunters and outdoor enthusiasts. You can also get it in snow camo - PenCott SnowDrift™ - for winter activities. The camo/color selections with the low profile look and feel makes it a perfect Everyday Carry (EDC) bag. 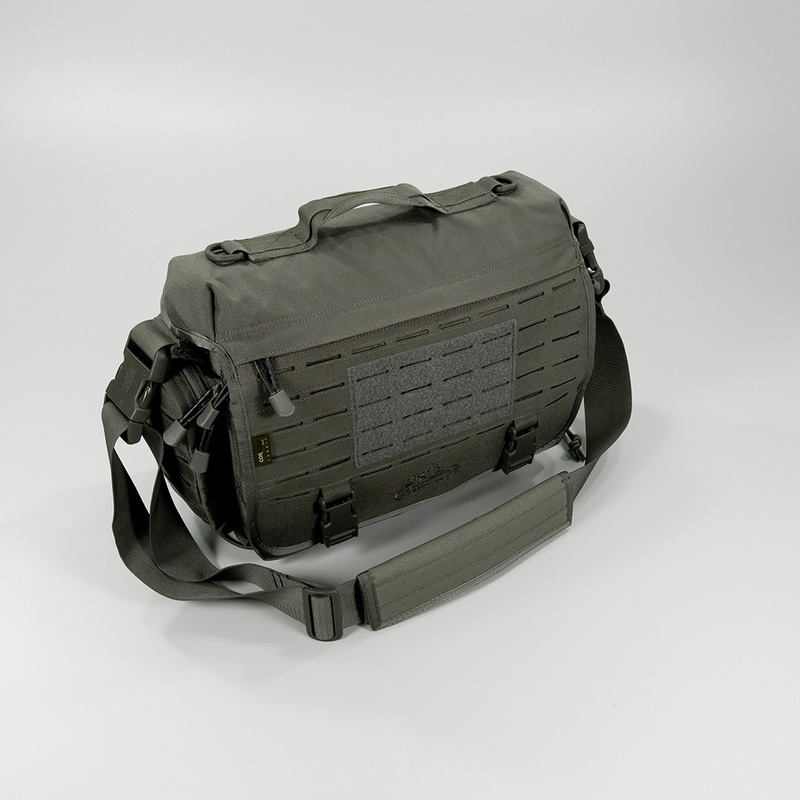 If you’re looking for a heavy duty MOLLE messenger bag for your laptop, tablet, iPad, etc. or just a solid base for your bug out bag (BoB) – Messenger Bag® made by Direct Action® is the best value for your money. Equipped with a set of capacious pockets, D.A. Messenger Bag® allows the user easy customization and personalization. Main compartment is lined with Velcro loops which allow adding some extra equipment, like holsters or magazine pouches. Padded sleeve inside main compartment keeps your laptop, tablet or other electronic devices fully protected. Bag is secured with a large flap, alternatively fastened with buckles or Velcro. On the inner side of the flap, there is a clear vinyl pocket and on the outside - a flat zippered compartment. Fully adjustable shoulder strap comes with non-slip pad. Bottom of this messenger bag is reinforced with non-slip material, plus there is an elastic cord if you decide to carry some clothing on the outside of the bag. the body side has a flat, zippered pocket that can stow detachable shoulder and waist straps if you decide to carry your bag by its carrying handle alone. Made of durable 500D Cordura® nylon fabric with water resistant coating. D.A. Messenger Bag® features laser-cut modular system compatible with MOLLE/PALS. Laser-cut does not absorb water like traditional MOLLE/PALS webbing.